LIVERPOOL NEVER FAILS TO AMAZE with its seemingly never-ending stream of talent emerging from the 'Capital of Pop'  so called because, according to the Guinness Book of Records, more artistes who originate from Liverpool have had a number one hit than artistes from anywhere else in the world. In 2008, Liverpool is acknowledged officially as The European Capital of Culture and to celebrate the event EMI Catalogue Marketing will release Liverpool: The Number Ones Album on 4 February (2008), featuring such esteemed names as Atomic Kitten, Ray Quinn, Scaffold, Elvis Costello and the cast of Hollyoaks. All profits from 'The Number One Project' will go to six local charities  Liverpool Echo Sun-rise Appeal; Marina Dalglish Appeal; Alder Hey Children's Hospital; Radio City's Give A Child A Chance; Radio Merseyside's Charitable Trust; and The Marie Curie Liverpool Hospice Appeal. The physical album features 21 number one singles (the digital version includes an extra seven number one recordings) and it brings together some of the best-loved Liverpudlian artistes who have recorded some of the most famous Liverpudlian songs of all time. Atomic Kitten's version of Anyone Who Had A Heart is true to the orig-inal as sung by Cilla Black, with a fresh squeeze of appeal that takes it enticingly up to date. It is a striking first track for the album, sweetly sung with a gentle intensity that makes it easy to listen to. We weren't surprised to find out there will shortly be a single release  28 January (2008). The rest of the album is well-chosen and has great listening appeal. For me, The Farm's version of Needles And Pins didn't quite have the bite of the Searchers but, having said that, they gave a good account of themselves and this version is certainly worthy of mention. Woman is one of my favourite tracks and Ian McNabb's version is beautiful, emotive and hits the right spot. The evergreen Scaffold's 3 Shirts On A Line (washed and good as new!) is fun. I am assured by our sports writer and life-long Liverpool supporter Peter Brownlow that this is a jokey song referring to the David Baddiel/Frank Skinner/Lightning Seeds Three Lions On A Shirt! Whatever... well done, boys! and Desa Basshead) is fantastic; You'll Never Walk Alone is particularly haunting and Paperback Writer unforgettable. The rendition of Hey Jude is also of note. This album is more than worthy enough to represent Liverpool's tribute. One thing's for sure  the list of great songs will guarantee that Liverpool: The Number Ones Album will be played time and time and time again. It is rare that cover versions are ever as good as the originals  in this case, here are twenty-one fine examples. 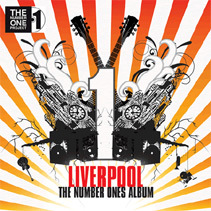  Liverpool: The Number Ones Album will be released on 4 February (2008). Check out www.thenumberoneproject.org. 28 January 2008. (The single will also feature Sonny J's recording of Hard Days Night). 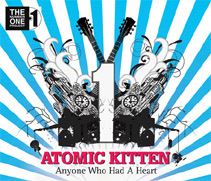 Check out www.atomickitten.com. Amsterdam | 3 Shirts On A Line Scaffold | Whole Again OMD | Relax Anthony Hannah | She Loves You Sonia | From Me To You Eton Road | Starry Eyed China Crisis | Eleanor Rigby The Real Thing | You're My World Kush featuring Natasha Hamilton | My Sweet Lord Garry Christian And Desa Basshead | Hard Days Night Sonny J | Day Tripper Shack | You'll Never Walk Alone Thomas Lang | The Power Of Love Frankie Goes to Hollywood's Nasher featuring Connie Lush | Paperback Writer Digsy and The Sums | Hey Jude The Real People | Imagine The Talkabouts featuring Liz McClarnon. Extra tracks on the digital album: Story Of My Life Clare Sweeney | How Much Is That Doggy In The Window? Cast of Hollyoaks | 2 Tribes Dr. and the Medics | Get Back The Towers of London | Don't Throw Your Love Away The Weirdos | You To Me Are Everything Ray Quinn | Ferry Across The Mersey Sense of Sound.